Working closely with Angela Todd Designs to partner throughout an extensive project, we were able to bring a sense of connection and comfort to a home placed in a rural parcel of forest and open spaces. The reinvention of interior space and subtle changes to the exterior resulted in a dramatic change, and left the clients thrilled with the atmosphere of casual elegance they had hope for. During a renovation, we are often invited not only into a home but also into the homeowner’s lives. So was the case during this West Slope renovation, designed by Devo Architecture to simplify and bring long term comfort to our empty nest clients. This full home renovation brought renewed life to every space. The classic charm and fine finishes combined with thoughtful inclusions for ease of use and family gatherings. We felt honored to help make this project a success. 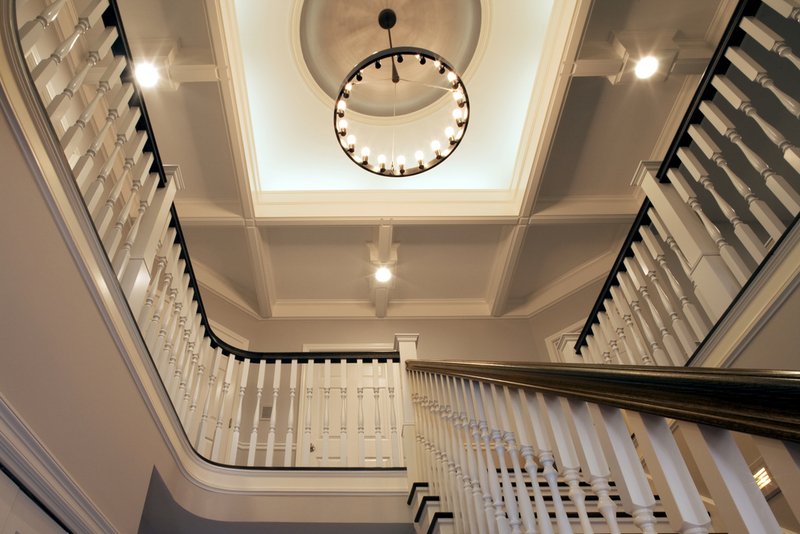 We had the pleasure of partnering with our client and Introspecs architecture to bring a full update of finishes throughout the entire home, while also remodeling the kitchen, mudroom and formal stairway entry. A modernized touch that was shared with distinctive selections for appeal and continuity, brought this home renewed vitality for an active household and frequent guests.